We offer state of the art GPS tracking and other surveillance options. Our GPS tracking is a very useful tool when it comes to mobile surveillance. It is very reliable and can be less expensive especially when conventional surveillance may not be an option. 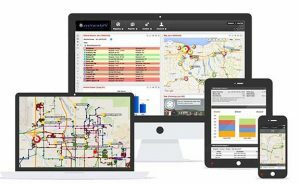 Along with our state-of-the-art tracking and surveillance options, we can provide live monitoring and display precise coordinates on our computers and smartphones while providing a detailed report of points of interest involved in tracking the vehicle. These trackers can be used to track almost all vehicles such as; personal, fleet, people and most other assets that you may need to keep track of. Our team of professionals will gladly consult with you about our GPS tracking services for long- or short-term use. Feel free to contact us for all your investigative needs. Please feel free to contact us at anytime so that we may answer any questions you may have.